Background: The Nazi Party put out an official account of the Nuremberg Rallies each year from 1933 to 1938. There were three key themes at the 1936 rally: The evils of Bolshevism, Germanyâ€™s need to be independent of foreign sources of raw materials, and Germanyâ€™s demands to get back the colonies it last lost after World War I. The source: Der Parteitag der Ehre vom 8. bis 14. September 1936. 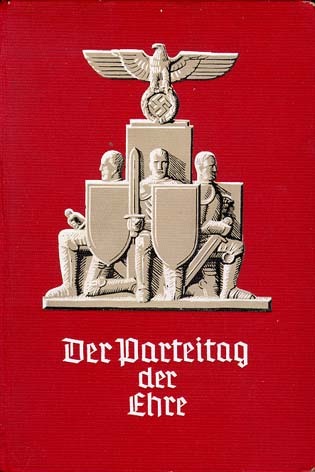 Offizieller Bericht über den Verlauf des Reichsparteitages mit sämtlichen Kongreßreden (Munich: Zentralverlag der NSDAP., 1936). Dr. Gerhard Wagner: Race and Population Policies: Available in Landmark Speeches of National Socialism.